These 12" assembled two-piece straight entry hooks are for pegboard or slat wall. 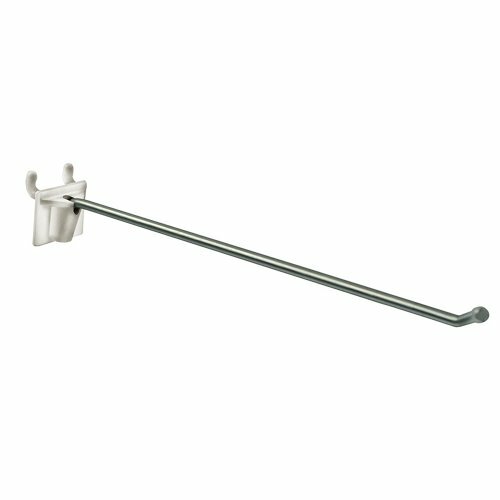 Galvanized metal hooks with white engineering grade plastic back plates reinforce for maximum holding power. Sold in packs of 50.